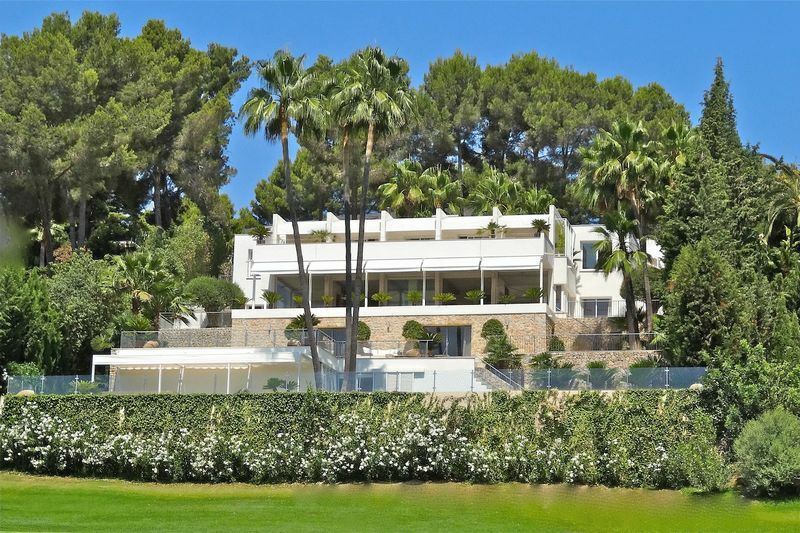 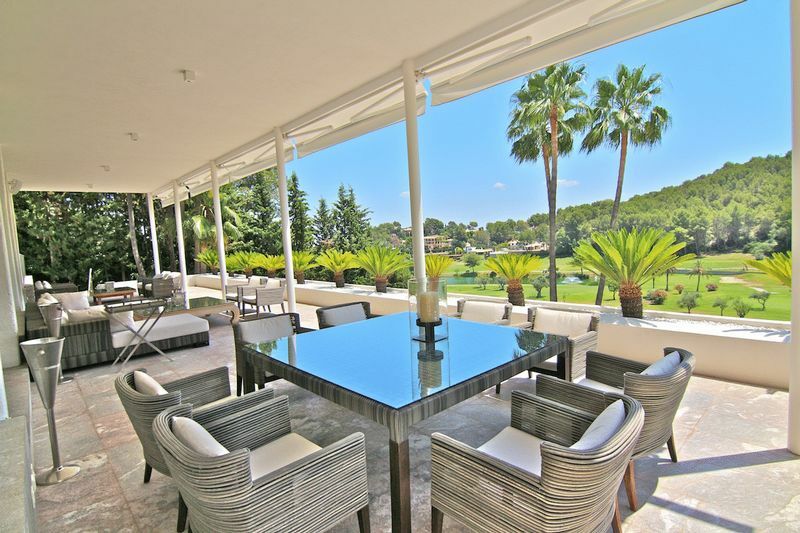 Outstanding south facing villa situated in a privileged position in the prestigious area of the Golf Son Vida offering complete privacy with convenient driving distance from Palma, marinas, golf clubs, various beaches and the airport. 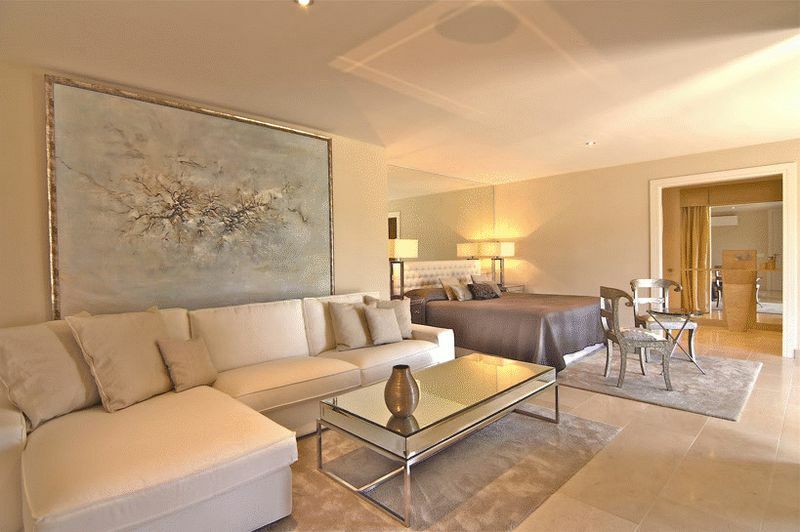 This designer villa is located in an exclusive luxury complex that includes three golf courses, two five-star hotels and has its own security service. 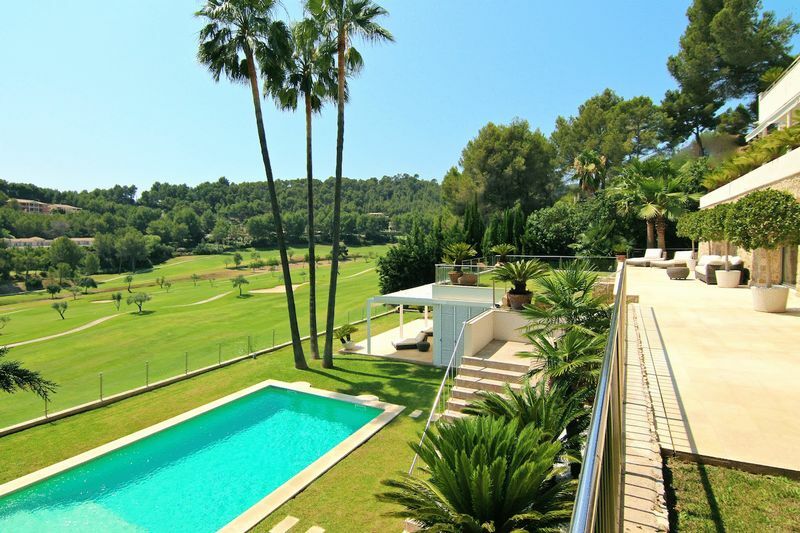 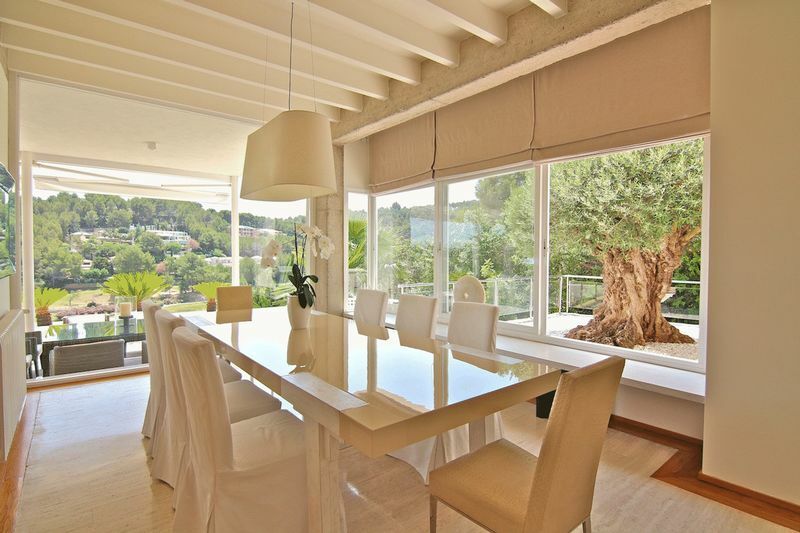 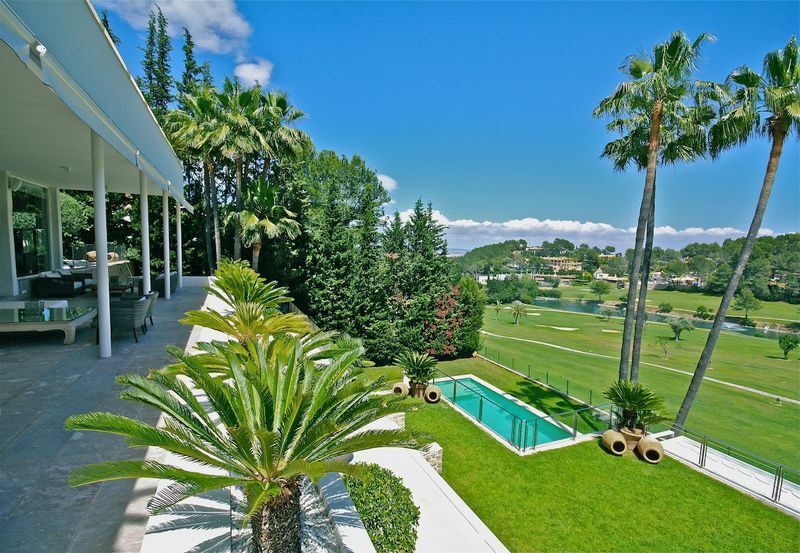 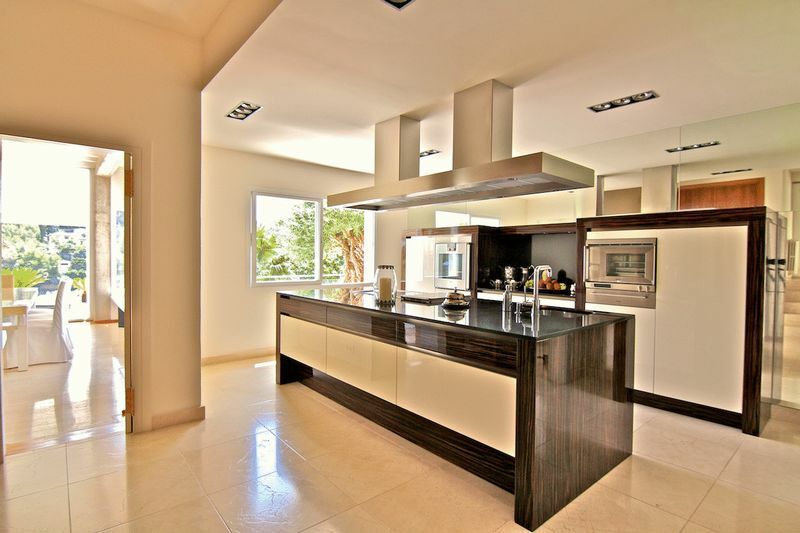 This superior property is built on a 2,200m2 plot in a first line Golf location, and has a constructed area of 950m2 and 300m2 of uncovered terraces. 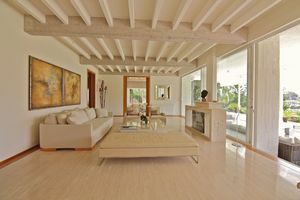 The property boast open living spaces, exceptionally high ceilings and offers the perfect combination of contemporary design and traditional elements. 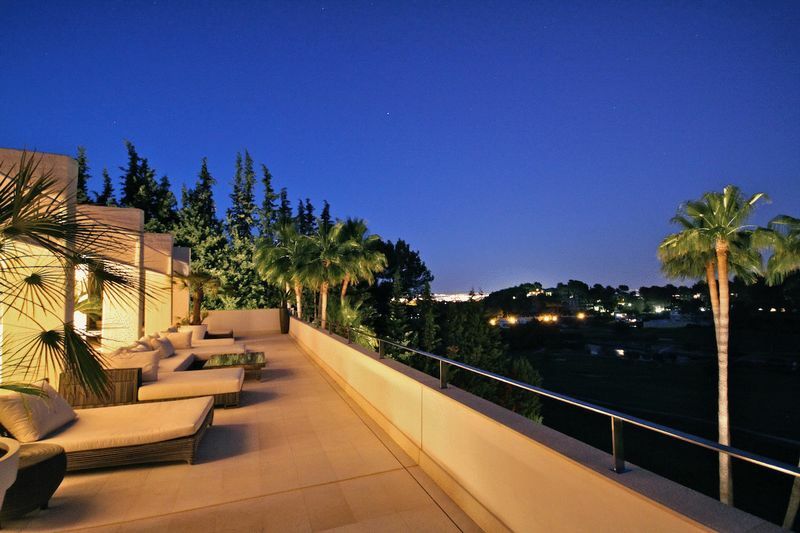 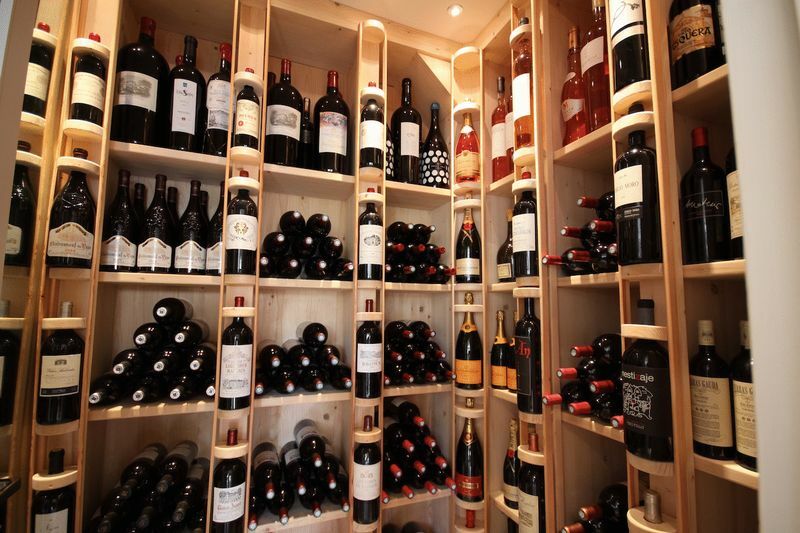 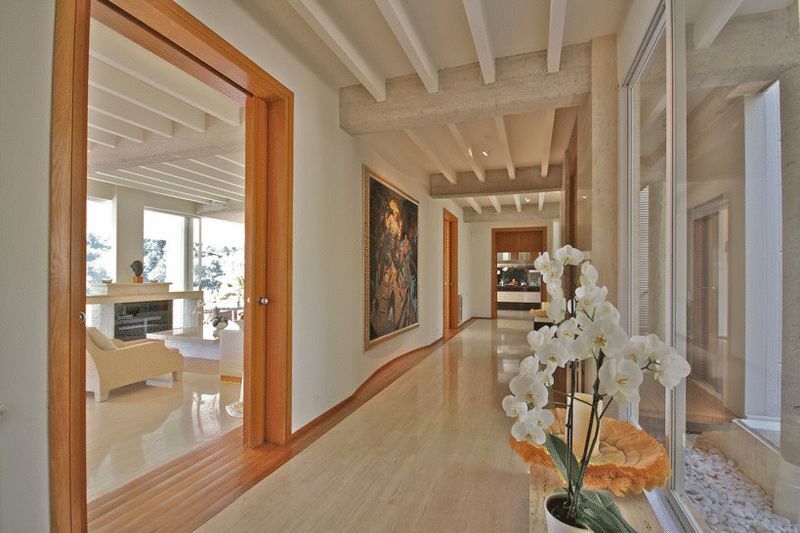 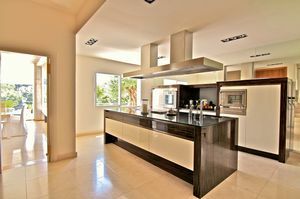 The impressive property is distributed over three floors, which can be accessed by an elevator. 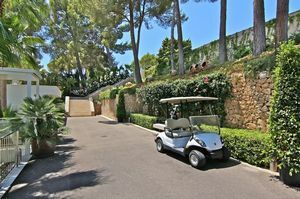 Nearly every room enjoys stunning views of the golf course through large picture windows which open to many of the terraces. 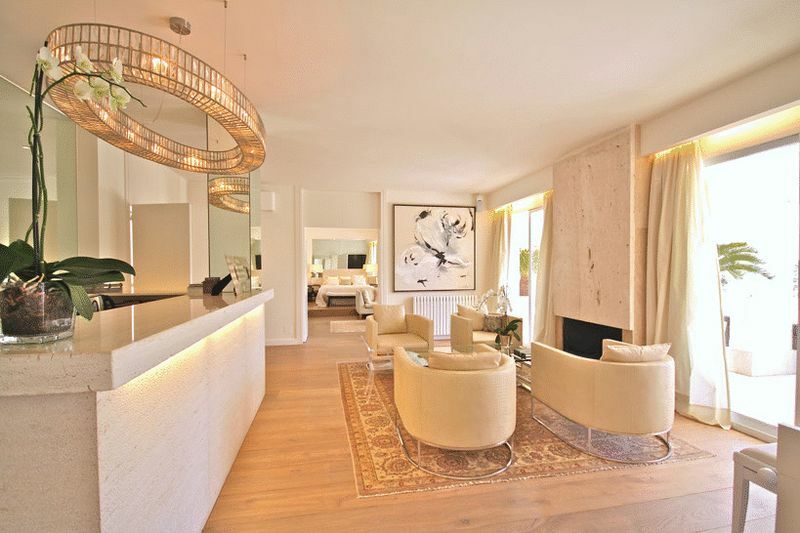 The main floor comprises an entrance hall, spacious living room, dining room, TV room and fully equipped Gaggenau kitchen with wine cellar. 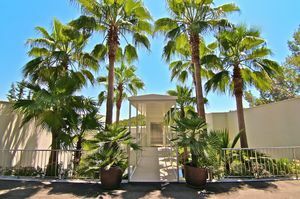 Furthermore there are two double bedrooms with bathrooms en suite, a guest toilet, a staff bedroom with bathroom en suite and several service and storage rooms. 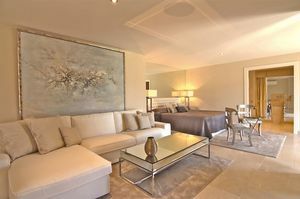 On the first floor you will find the master suite with his private living room, dressing room, bathroom en suite and access to a private terrace, as well as two further bedrooms with bathroom en suite. The lower floor features two separate guest apartments with own entrances and their private terraces. 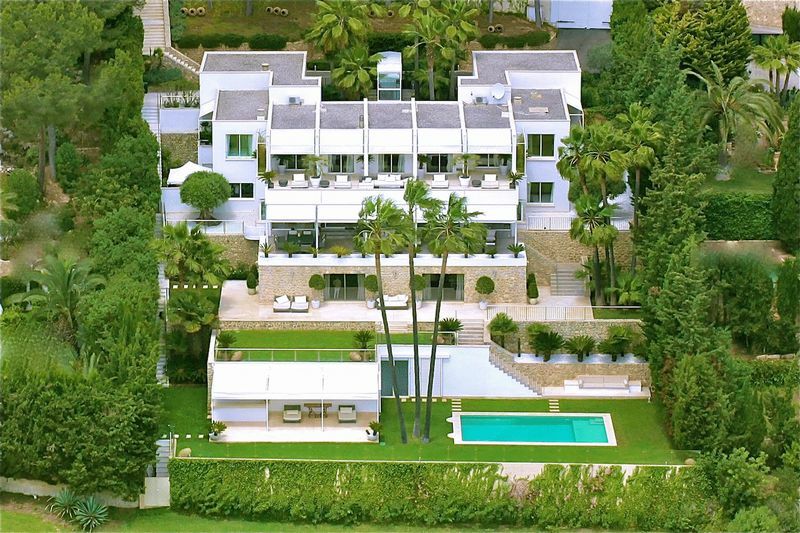 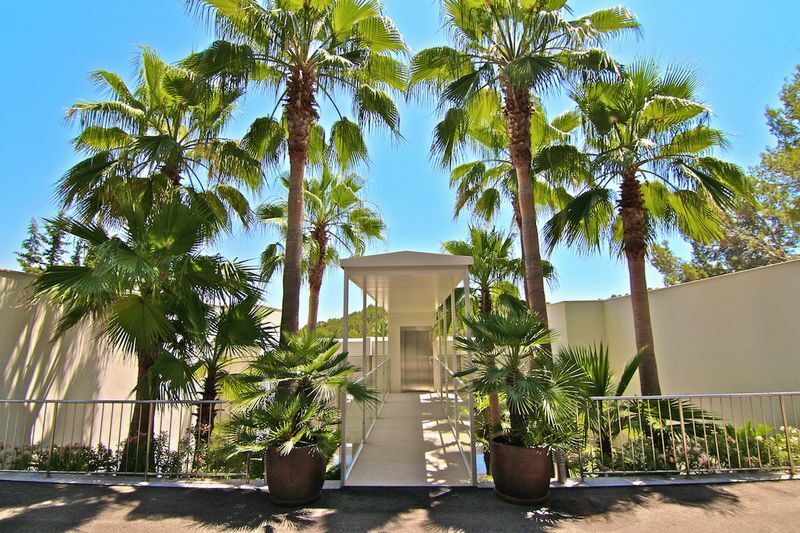 The residence is surrounded by a mature garden with wonderful palm trees and large, partly covered terraces. 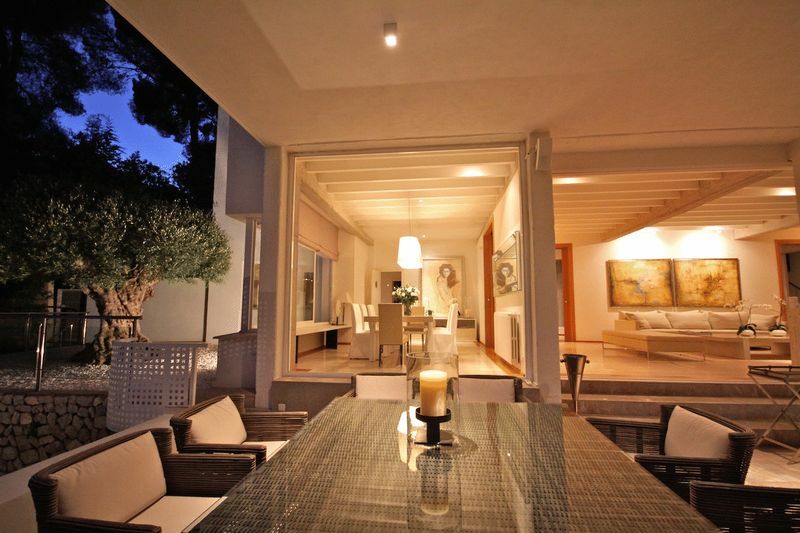 The pool area has a large covered outdoor bar, summer kitchen a bathroom and a private Squash Court. Two spacious garages contain enough space for 4 cars and lead directly into the villa. 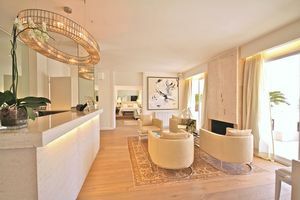 Central heating, air conditioning, sound system by Bose, Wifi high speed internet, Astra + Eutelsat TV, marble and oak floors, noble carpentry, salt water pool, an alarm system and 24 hour security."